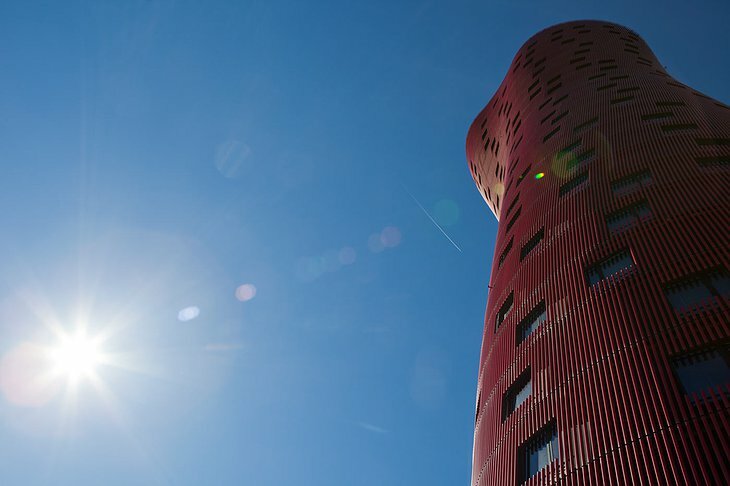 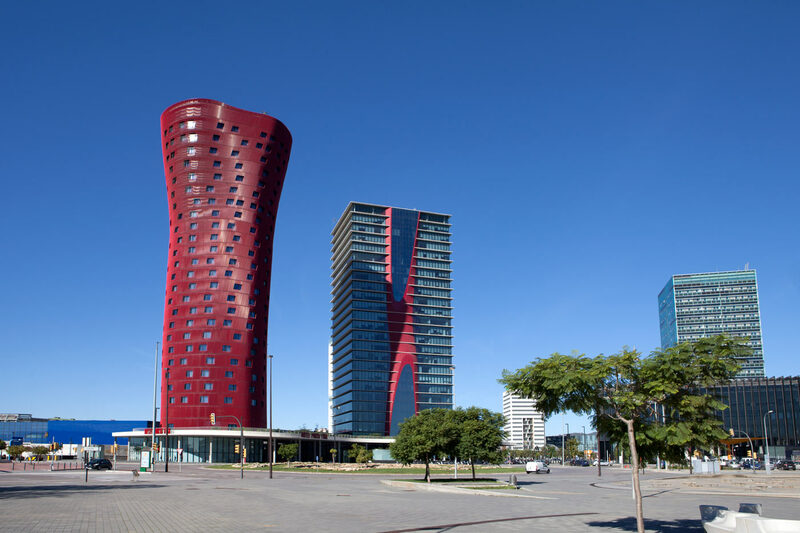 Striking red and standing nearly 375 feet tall (114 meters), the Porta Fira Hotel is an award-winning skyscraper located in Barcelona, Spain. 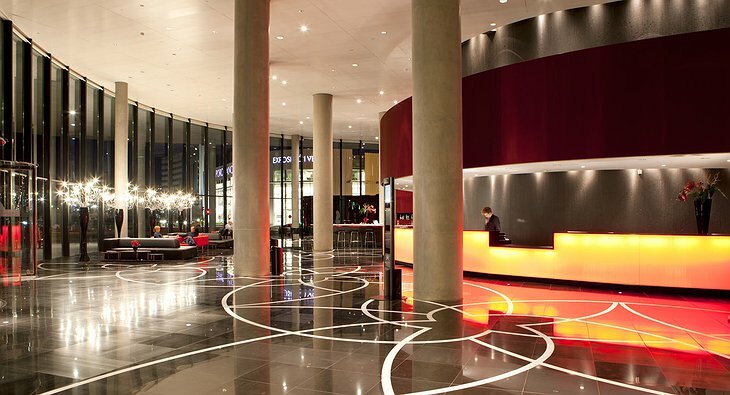 Designed by renowned Japanese architect Toyo Ito, the hotel impresses with its unique curved structure and even won the Emporis Skyscraper Award. Urban rooms offer a sleek design with neutral tones, while privilege rooms are bright and warm. 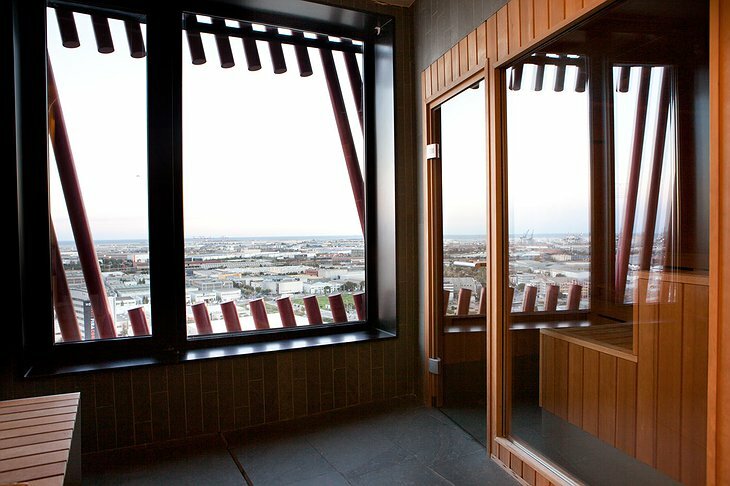 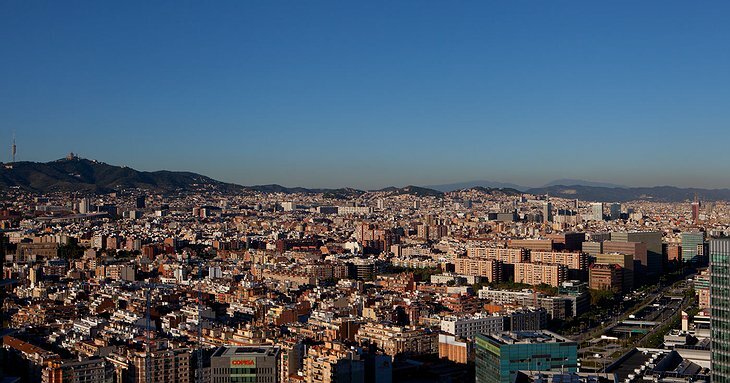 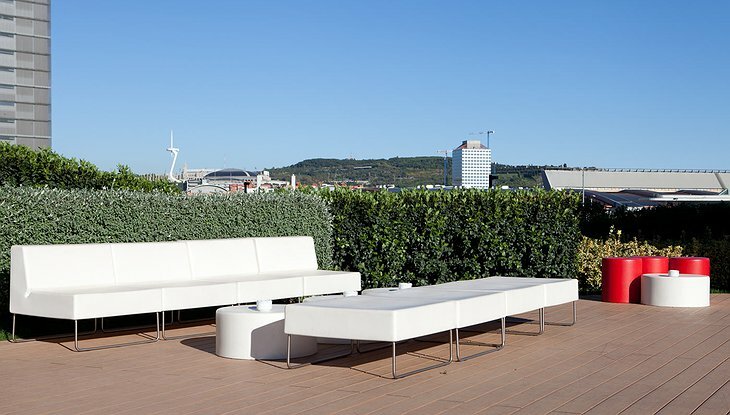 Family rooms are the largest in the hotel and include soundproof walls and stunning views of Barcelona. All 311 rooms are minimalistic and modern, offering comforts to every guest. 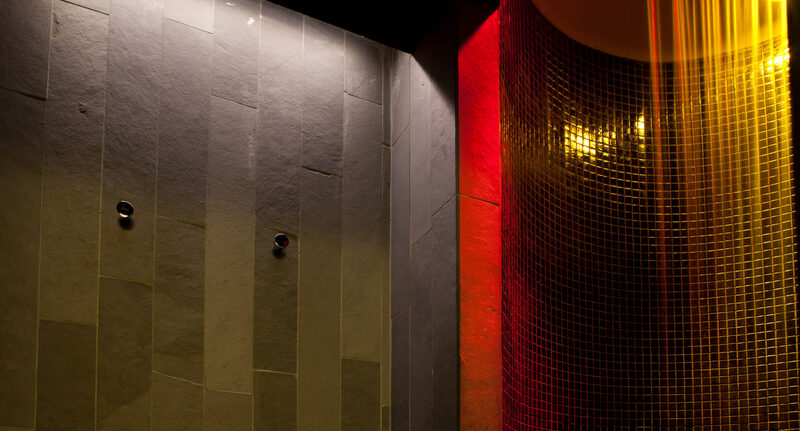 A health club, fitness center, sauna and massage/treatment rooms are among the other facilities this hotel offers. Free WiFi is also provided at check-in. Hungry? 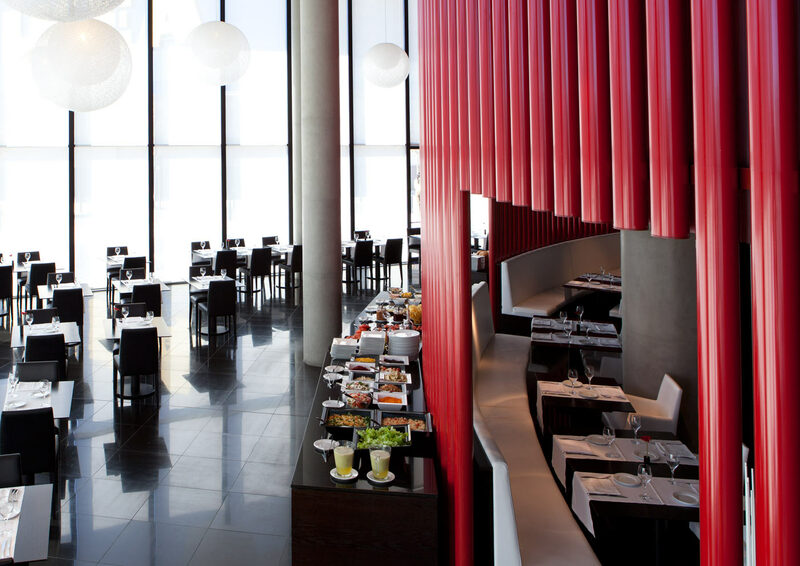 The hotel’s Spiral Restaurant offers authentic spanish cuisine with dishes like “huevos rotos” and “Salmorejo Cordobés” (chilled soup with prawns). 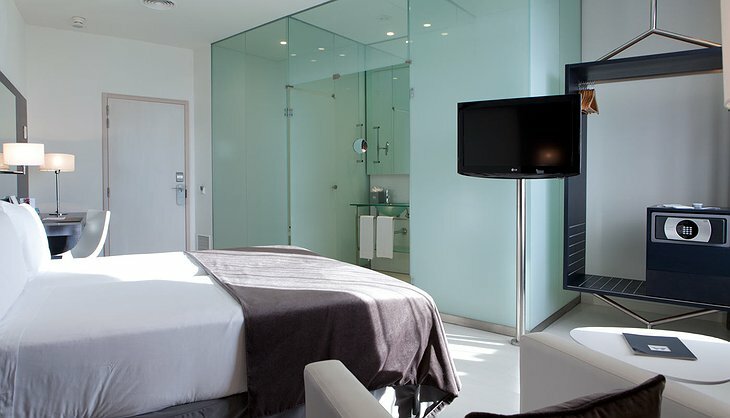 Room service is also available for guests. 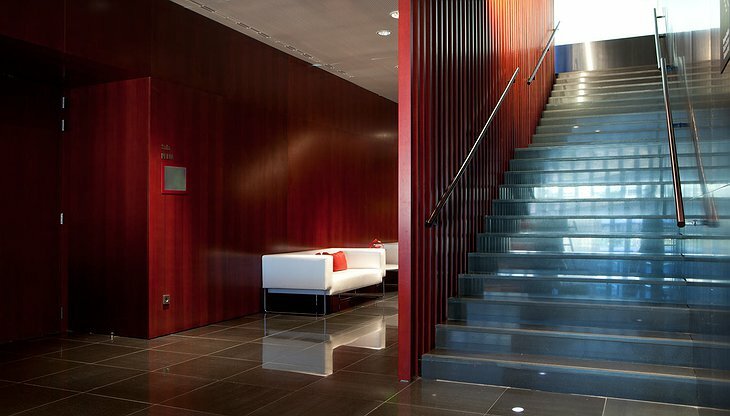 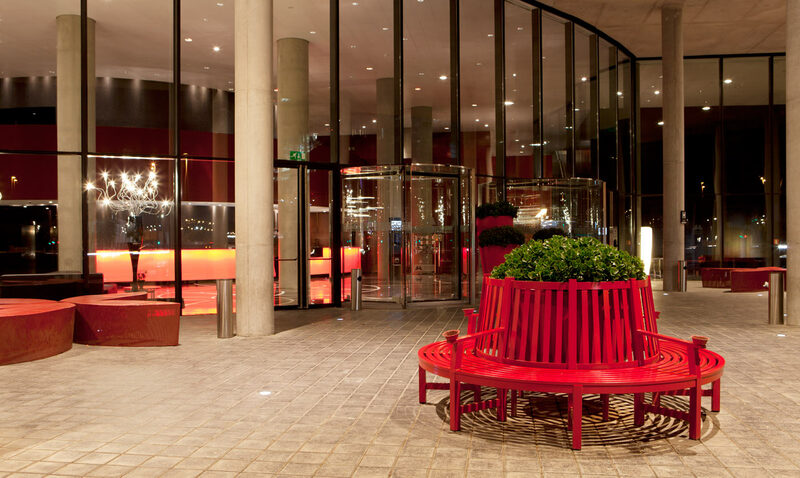 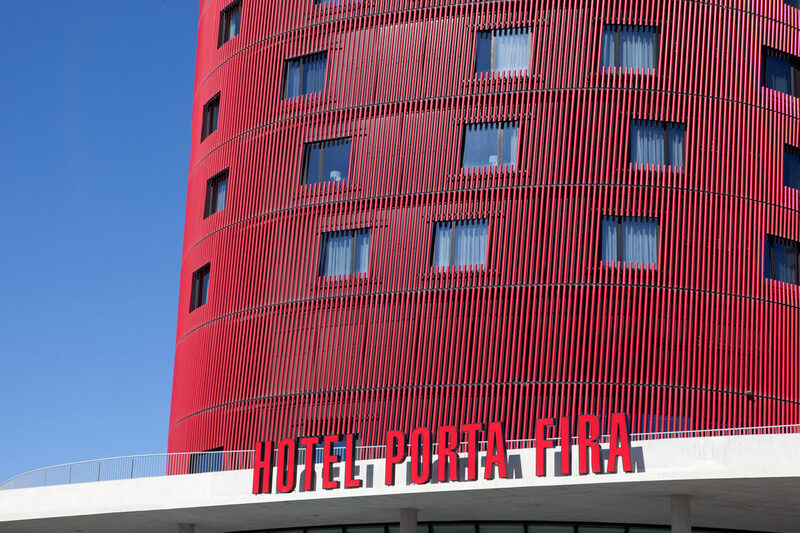 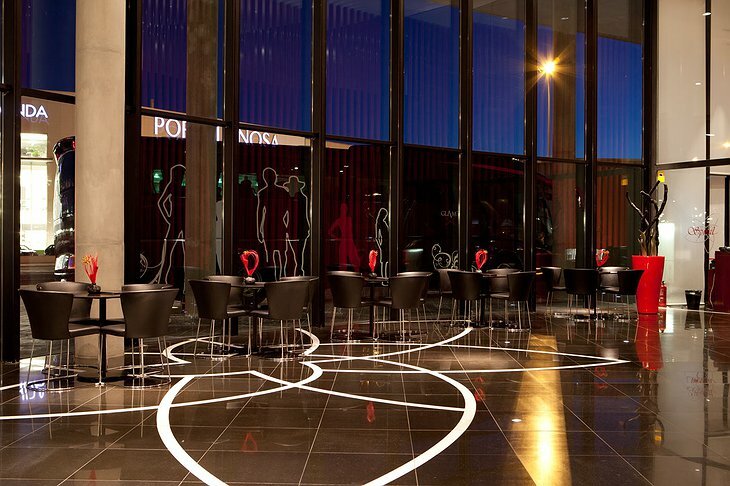 Located between the airport (just a 10-minute drive away) and the city of Barcelona in the Plaza Europa, the Porta Fira hotel is very convenient to the Fira Barcelona (Barcelona’s trade fair institution where numerous trade shows and congresses take place each year).